If you like transform robots fighting game then real world robot fighting 2018 is perfectly designed for you, where you can fight as a hero with your dream wrestlers .This is one the best transform robots battle games. You are as the action hero has mission to win the robots ring fighting and wrestling championship title and become a real robot fighter. 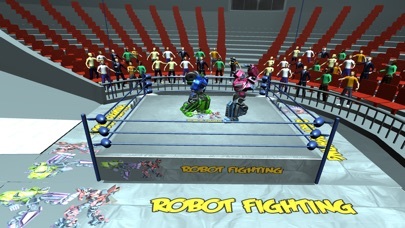 Fight with your real l robot and try to kill the opponent robot and become the ultimate super star robot in this robots wrestling ring fighting game. 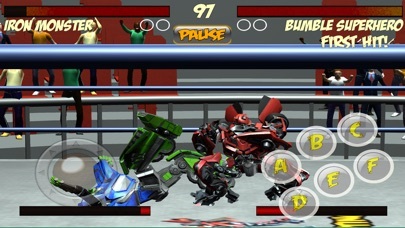 This futuristic boxing of robots will give you the real robot games fighting experience. The gameplay of the game is stunning and you have to be careful during this amazing robots war game. You have to control your robot, block the opponent’s punches, kicks and combos and use you super heroes combos and skills wisely and accurately. Are you ready to knockout your opponent in the boxing fighting arena? Build your fantastic super warriors and power full mechanical robot for the battle in the ring. You have a collection of several robots which have different fighting and action skills and combos to eliminate the most powerful iron steel robot from the fighting ring. 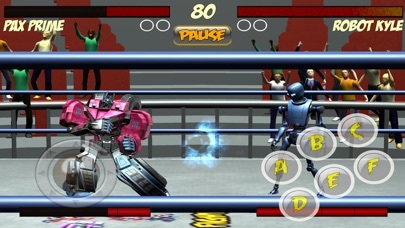 Real robots steel ring game is the latest new and free robot boxing game which has a lot of action in ring arena. The game has a complete story in which you have to defeat the all the opponents one by one and become the super hero of this fantastic Robot Battle ring wrestling mania. •	Stunning action and fight in the game. •	Crowd Cheers and appreciation. •	Combo Attacks and special moves. •	Exciting Story mode gameplay. •	Action packed and thrilling fighting arena.